The advanced design of the Michelin® Bopper® tyre helps deliver outstanding performance. With impressive grip even at full lean, the Bopper® tyre inspires confidence thanks to its excellent feedback and control. 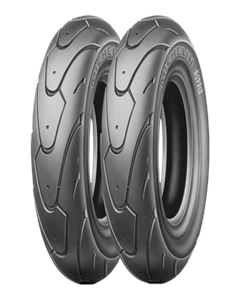 The directional, semi-slick tread pattern helps provide a stable contact patch for acceleration and cornering.